One of the official derivatives of Ubuntu is Lubuntu, a version that is designed to use less system resources. 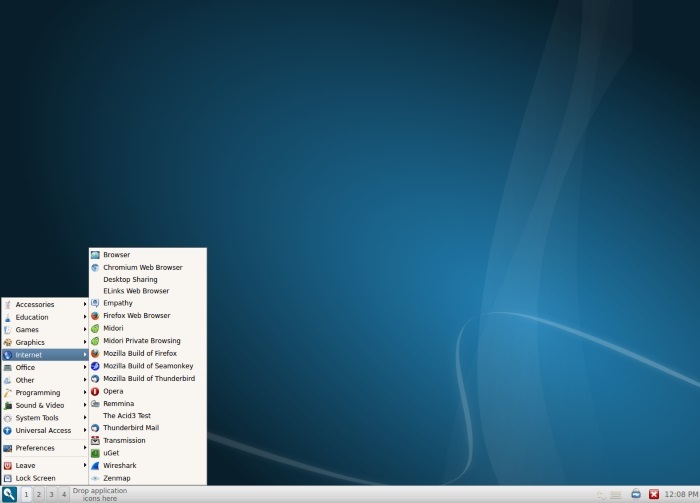 To do this, Lubuntu uses the lightweight desktop LXDE, plus a selection of light applications. The next version of LXDE will be based on LXQt, which is itself the result of the merge between the LXDE-Qt and the Razor-qt projects. The first developer release of the new desktop was recently published, and the project has posted packages for most of the mainstream distributions. To test LXQt on Ubuntu (13.10 or 14.04), you need to use the Personal Package Archive (PPA) released by the Lubuntu development team plus some packages from Julien Lavergne, the lead developer of Lubuntu. The first two commands add the PPAs from Lubuntu and Lavergne. The third command refreshes the package list to include the packages from the two new archives. The last command installs the LXQt packages. 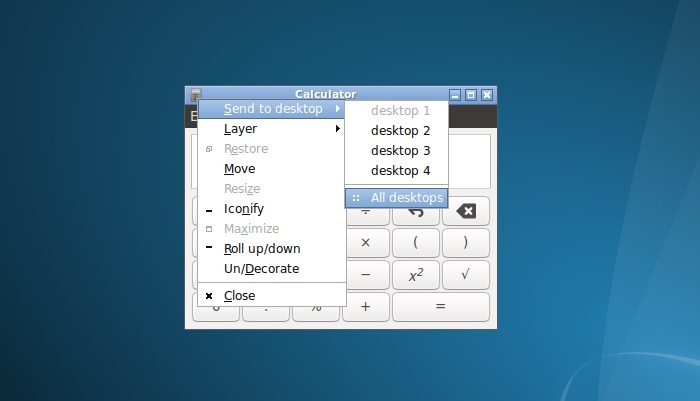 Since this is the first time you are using the LXQt desktop, it might take a few seconds longer than normal to start. Once it has fully started, you will see a simple desktop environment. At the bottom left is the “Start” menu and next to it are the numbered icons to switch between the four virtual desktops. To move an app from one virtual desktop to another, click on the small icon in the title bar of the window and use “Send to desktop.” If you click on “All desktops,” then the application will remain visible on all the virtual desktops. You can also move an application by dragging to the edge of the desktop. The icons for all the running applications remain in the task bar at the bottom of the desktop. When you click on a running application, then the corresponding virtual desktop will also be shown. This means that switching between applications also means you switch between desktops. Another interesting feature of Openbox (the Window manager) is that you can reduce a window to just its title bar. Known as roll up/down or “shade,” it is a cool way to keep windows in the foreground without them occupying too much desktop space. You might be tempted to try out some of the other desktops in the environments list like “Lubuntu,” “Lubuntu Qt session” and “Openbox.” Don’t! They aren’t complete installs and are just some of the baggage that comes with pre-release LXQt packages. 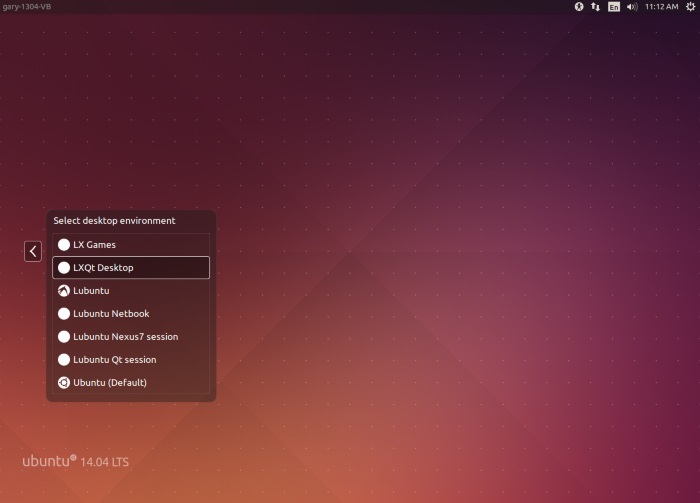 You can go back to using the default Ubuntu desktop at any time. All you need to do is log out and click on the icon opposite your username. From the desktop list click “Ubuntu (Default).” Then just log in as normal. If you have any questions about installing or testing LXQt, please use the comments section below and we will see if we can help. I installed LXQt as instructed above and error was encountered at the end of the processing of the last sudo command …. last few lines of terminal window showed following message…. I was then prompted to select my preferred file manager so I clicked on list and navigated down to openbox lubuntu and clicked ok, but no desktop has been displayed. Any idea what might be the problem? I am fairly new to Linux and only know a limited amount of knowledge, but I can usually get by with the help of google. 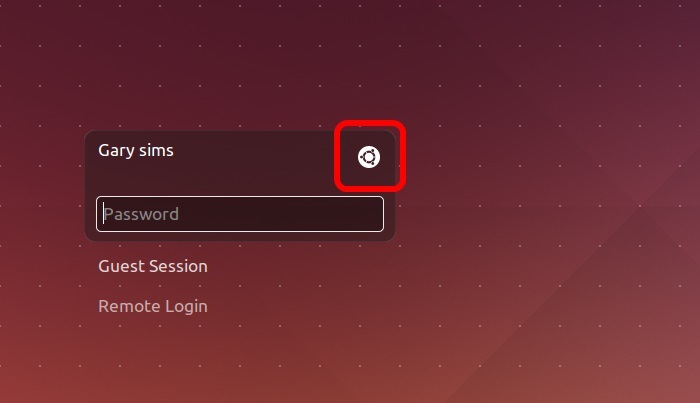 I was able to shut down the VM and restart and select Ubuntu desktop from the list and was able to use Ubuntu desktop as before except keep getting error message as before so click ok to remove message. when i logged back into Ubuntu, I ran sudo apt-get update and then upgrade, got following resopnse…. Any idea how to resolve these dependencies?